In a perfect world, everyone would understand everyone, and there would be no communication errors. Unfortunately, in the world we live in, even different disciplines of the same language barely understand each other due to subject specific jargon. That doesn’t mean business interactions are impossible between entrepreneurs and engineers, whose language can be particularly difficult to understand, for the science impaired. 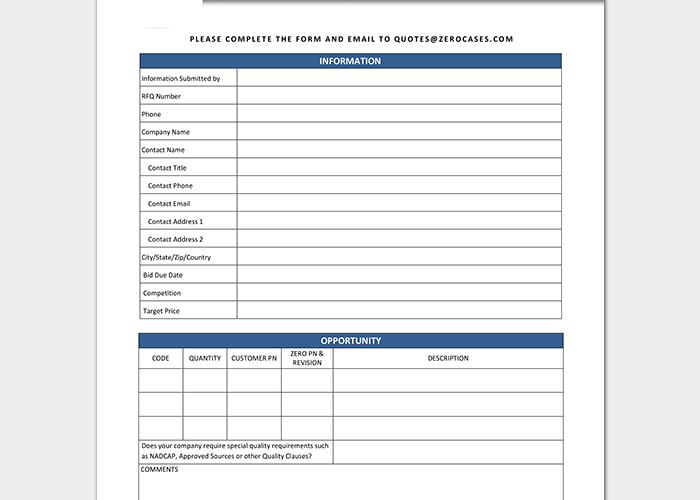 Engineering quotation templates are thus a useful way of conveying the working and pricing practicalities of an engineer in a neutral, relevant and professional language. Engineering Quotation Requests are like an invitation to bid. if you’re preparing this, you are likely aware about the product/service you’ll be requiring from your suppliers. So it isn’t a proposal but a competitive bidding about a specific need. This request is usually for standard products or services so the requests need to be stated as clearly as possible, for the bidders who might have differing quotation formats, about what is required. This way the submitted quotes are uniform and thus comparable. Quotations for Mechanical engineering projects need to be very specific with regards to the quality of materials to be used and the prices acceptable to the clients. Note that to be legally binding, clients have to sign the quotation to prevent challenges with regards to the quality of materials used. Hence since more durable materials cost higher, clients will know what they’re getting, and for how long, based on the quoted prices. So a Civil engineering quotation instead of focusing solely on the technical construction aspects of the job to be done, will show how the pricing and time frame for job completion fulfils the desires of the client. It also allows the potential client know the time limit on certain prices, because even though the construction process is service based, the cost of materials may be subject to market fluctuations. Engineering quote templates are therefore a useful means of streamlining pricing information, that is project relevant, into a universal and comparable language that can be understood regardless of the field the user is in.